Designers, contractors and building operators in the HVAC industry have a new, hands-on learning experience available – and it’s coming to them! 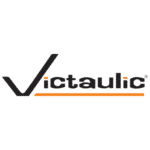 The Victaulic UK mobile truck tour launched this spring showcasing innovative grooved piping solutions available from Victaulic for every aspect of a HVAC project, including pre-planning to on-site installation. “Our UK touring truck is a great opportunity for clients and potential customers to explore the comprehensive range of Victaulic solutions in one place and discover the advantages they deliver,” said Jared Breidinger, Divisional Manager Northern Europe at Victaulic. The mobile truck hosts live demonstrations by local representatives and hands-on product displays that building services professionals and engineers can interact with, showing how the solutions can make them more productive and boost their projects’ bottom lines. The truck features built-out mechanical room installations and pump displays. Visitors can even try their hand at using Victaulic grooving tools or installing the grooved mechanical couplings that make Victaulic the world’s leader in pipe-joining systems. The same Victaulic representatives giving demonstrations also provide guidance on how to make the best use of Victaulic HVAC services. Victaulic developed the mobile truck with specific curriculum for engineers, contractors and owners. 3D modeling and BIM coordination highlight the mobile truck displays for HVAC engineers. Victaulic is at the forefront of integrating with Autodesk Revit, a BIM software program for designing building systems using 3D smart modeling. Victaulic Tools For Revit increase productivity through custom add-ins to automate tagging, drawing, assembly and fabrication, for projects of all sizes. Local representatives will be able to meet with engineers to discuss drawing packages, modeling and BIM tools as well as other aspects of value engineering that make projects successful. Contractors will get a hands-on look at how Victaulic pipe joining products install faster, easier and safer than other methods. The mobile truck offers the chance to see first hand how, compared to welding, using grooved mechanical joints reduces man-hours by as much as 45 percent. To make installation even easier, Victaulic Installation-Ready couplings come ready to install out of the box with no loose parts. Because grooved is flame-free, it eliminates the safety risks of having an open flame and hazardous fumes at a job site. Visitors can even install joints right in the truck! Contractors new to grooved pipe joining can learn from displays on how the joints can be used to handle deflection or thermal expansion and contraction in a way that puts less stress on other system components. The truck also gives contractors a look at how CAD and software solutions can reduce costs. They’ll be able to see how pre-fabrication techniques can make pipe fabrication and on-site construction more efficient. One of the biggest benefits they’ll see is how the 3D smart models can reduce the chances of having to issue requests for information and do re-work later on in a project, thus removing a major bottleneck and increasing efficiency. The Victaulic mobile truck gives owners a life-cycle view of the role Victaulic plays in operating a successful, profitable building project. Learning opportunities start at the beginning to show how pre-planning and system design work with product selection to ensure the piping system most effectively meets the project’s needs. The truck then moves into displaying how the benefits of value-added Victaulic services help improve productivity and meet the tight schedules that projects need to hit to remain profitable. Lastly owners get a look at how those same services bring down maintenance costs during the life of a building and integrate with potential expansions. Victaulic’s roots in the UK go back to the company’s beginning in 1919, when British Royal Engineers Lieutenant Ernest Tribe and renowned engineer Dr. Henry Selby Hele-Shaw developed and patented the first grooved mechanical coupling design. Recently its pipe-joining systems have been used in notable projects such as providing heating and cooling in the 46,000-square meter Airbus assembly plant in Broughton, Wales, and the retractable roof over the famed Centre Court at the All England Lawn Tennis Club. As part of its worldwide commitment to sustainability, Victaulic is a member of BREEAM. 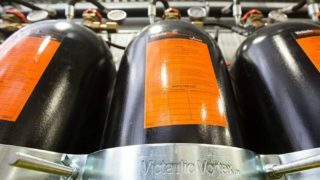 Now with the UK mobile truck tour, Victaulic is taking its latest innovations on the road for the people who design, build and operate the HVAC systems in buildings of every size. The Victaulic mobile truck experience represents a unique way of interacting with the most innovative products and tools in the industry.